NYC and its neighboring areas must be the haven for authentic Japanese food in the U.S. At least I think so anyway. Santouka is located in a Japanese supermarket Mitsuwa. Yes, that’s right, in a Japanese supermarket. In Edgewater, NJ. There is a bus that takes you specifically to Mitsuwa directly from Manhattan’s Port Authority. Yes, that’s right, a special bus to a supermarket. Mock as you may, but hoards of people board the earliest bus on Saturday mornings just so they can eat at places like Santouka and shop at Mitsuwa. Santouka opens at 11am, but the line begins to form at 10.30am. If you’re driving from the city, it’s been proven that if you arrive by 10.20-10.30am you will still be part of the first wave of ramen servings. Let me show you why people do crazy things like this. The star of the meal is the pork. It’s so buttery and melt-in-your-mouth that they have to serve it cold instead of in the ramen, lest it completely disintegrates before you can get to it. 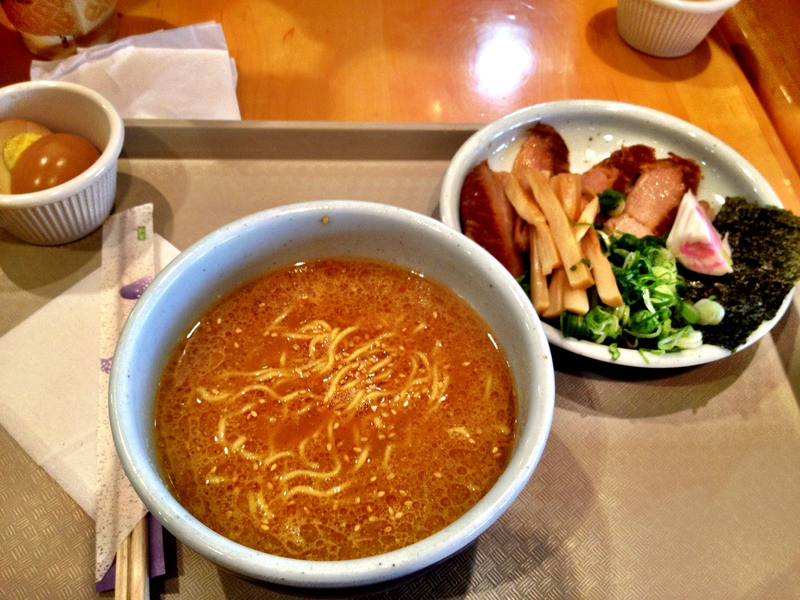 The noodles and broth come in 3 sizes, small, medium, large. I’d say stay away from the large, else the richness of the broth and expansion of noodles in your tummy will impede your breathing ability and prevent you from eating other things that Mitsuwa has to offer. 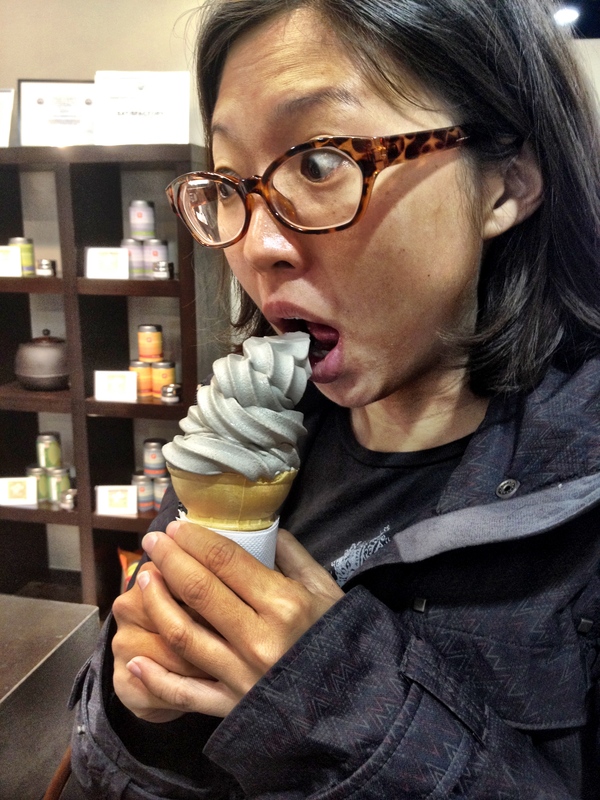 Like the black sesame soft serve.